A statement design with rich Italian heritage, the Weybridge Console Table will add glamour to any interior scheme whether modern or traditional. 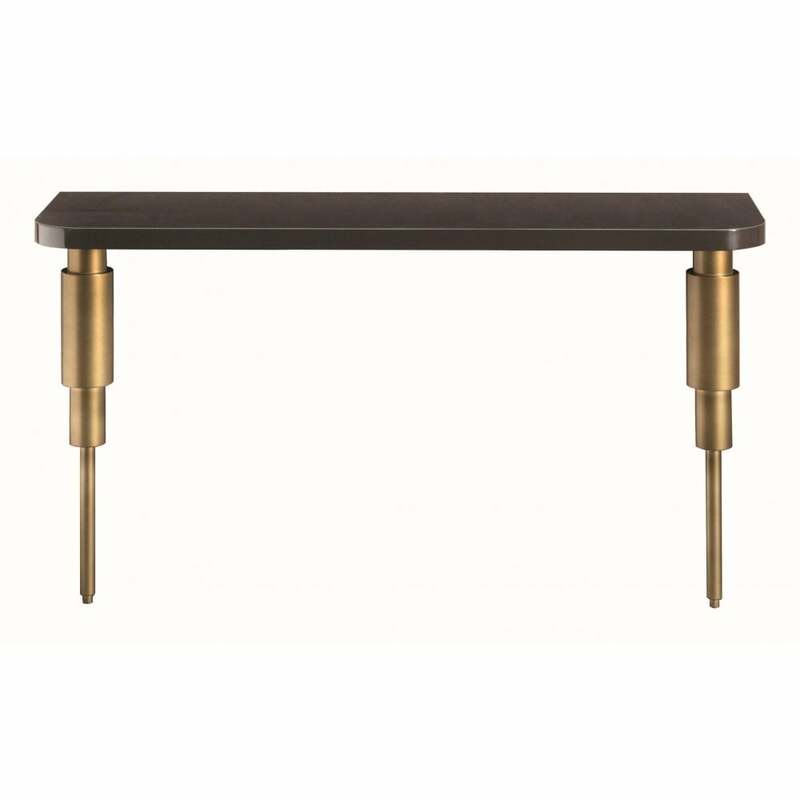 Inspired by the beautiful lines and finishes of art deco design, this console table features a solid dark walnut table top and striking gold legs. Coloured using a water-based paint, the console table is polished by hand to give each piece an exclusively elegant finish. Position in a dining space or hallway and combine with lighting from the Weybridge range to create a striking interior design. Use to display bouquets of flowers, objets d’art and your favourite books. The console table can be crafted from various lacquered woods with a brass or titanium base. Make an enquiry for more information.